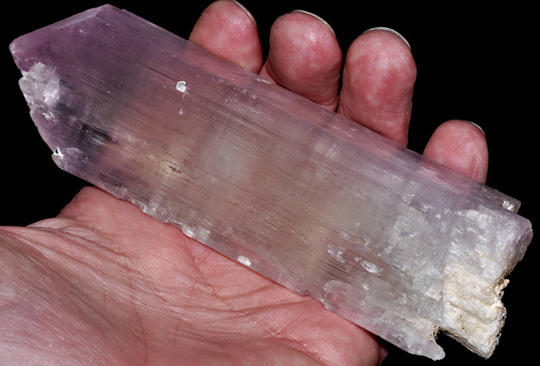 Kunzite is a member of the spodumene family of gemstones. Kunzite is defined as a pale pink to lilac colored spodumene. Click here to skip forward to kunzite jewelry selections - kunzite rings - kunzite earrings - kunzite pendants. Kunzite is pleochroic, which means that its color changes depending on the angle at which the stone is viewed. 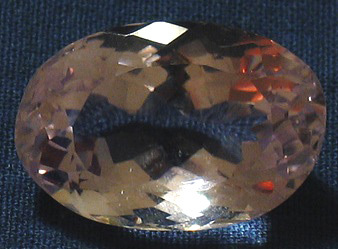 Kunzite displays a strong cleavage in one direction, like diamond and topaz. Kunzites should ideally be cut so that the color is best when viewed from directly above - but this, together with kunzite's splintery fracture, means that it can be a difficult gem to cut. Kunzites are often found as much larger crystals than hiddenite. Kunzite is found in several locations in the world, including Afghanistan, Brazil, Madagascar and the USA (chiefly in California). 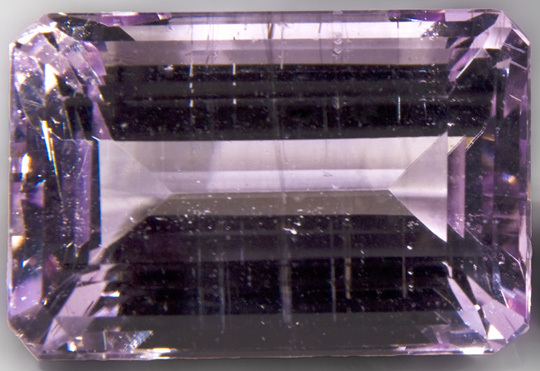 Kunzite has been nicknamed Lithia Amethyst on occasion. Kunzite has also acquired the nickname "the evening gemstone" - however, there is wide disparity among sources as to the exact origin of this name: Some say that it is because its color fades after too much exposure to sunlight; other say that the stone's appearance is most impressive by candlelight; yet others say that it is because the stone's color complements evening wear. Paler colored (pink / lilac) kunzites can be very reasonably priced - and looking around online at prices in January 2011, many "ordinary" pale pink kunzites can be seen retailing for around $11 per carat. However, as with many other gemstones, as soon as the color of the stones are more rich and intense, the prices multiply dramatically, going all the way up to $175 per carat for stones in the 10-25 carat range. Of particular interest to the gemstone collector may be Patroke Kunzite - which is a variety with very intense, deep pink coloring. Buyers should be aware that much kunzite that passes through the trade is heat treated or irradiated in order to enhance its color - though this or any other treatments should of course be declared by the seller.